I have a confession. 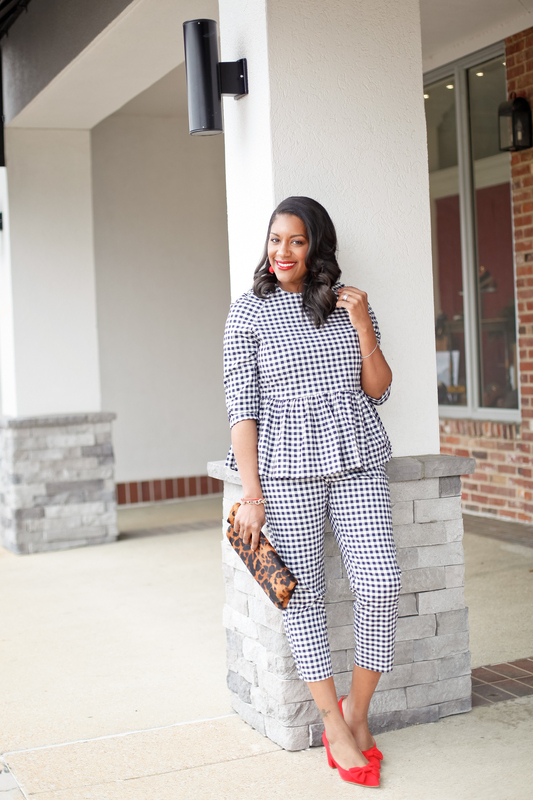 I have a gingham obsession, and it all started with the Victoria Beckham and this co-ord outfit during the Target collaboration we all went so wild over. 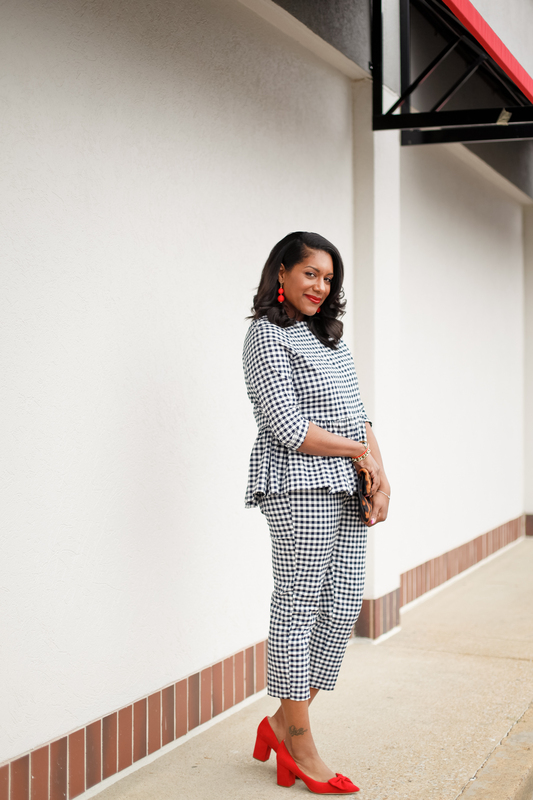 Gingham is a really great spring/summer print that can be treated as a neutral, and lately, my eye has been drawn to it on any canvas (see a post how I styled gingham mules HERE.) I was pregnant when I purchased this set, and I couldn’t wait for the perfect time to break it out. A Mommies & Mimosas Brunch was the perfect occasion. 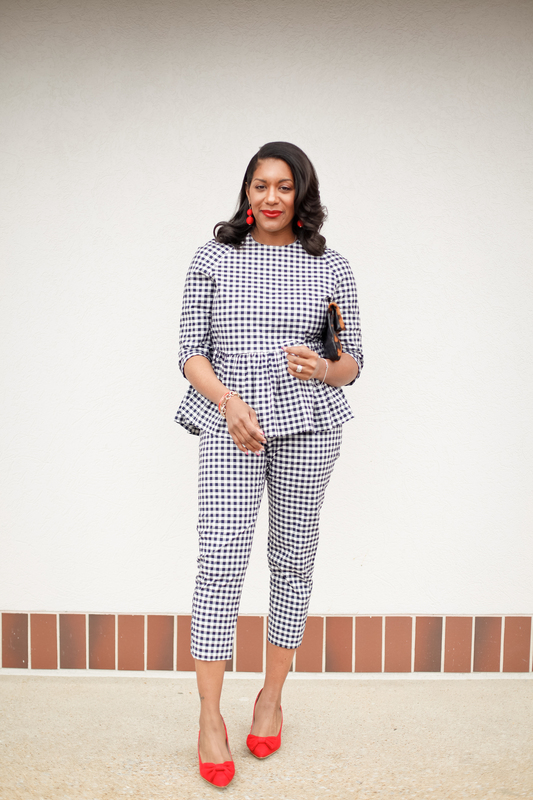 Gingham is one of those classic prints that can truly stand alone, but when paired with red, the chic factor is kicked up several notches. I threw in a little leopard to the mix because I’m really into playing with prints these days. I’m also really loving coord sets too. 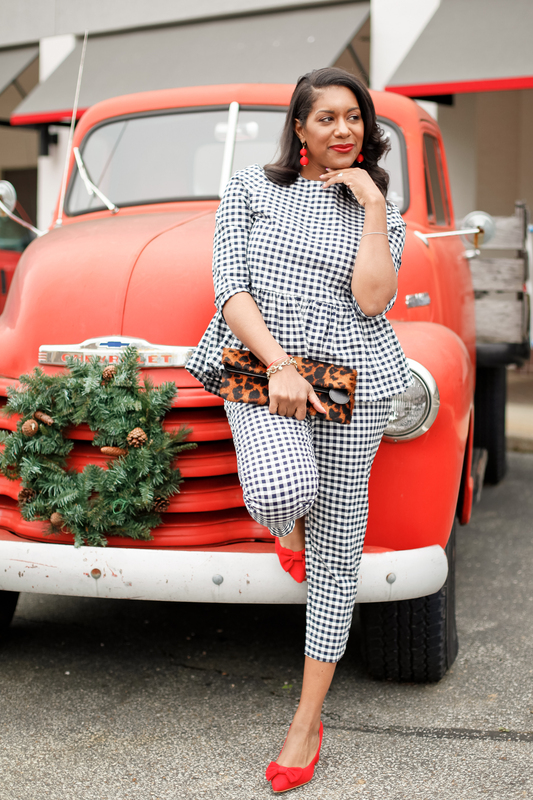 This outfit gave me the best of both worlds, and I felt super glam and chic in an modern Old Hollywood kind of way. What do you think? 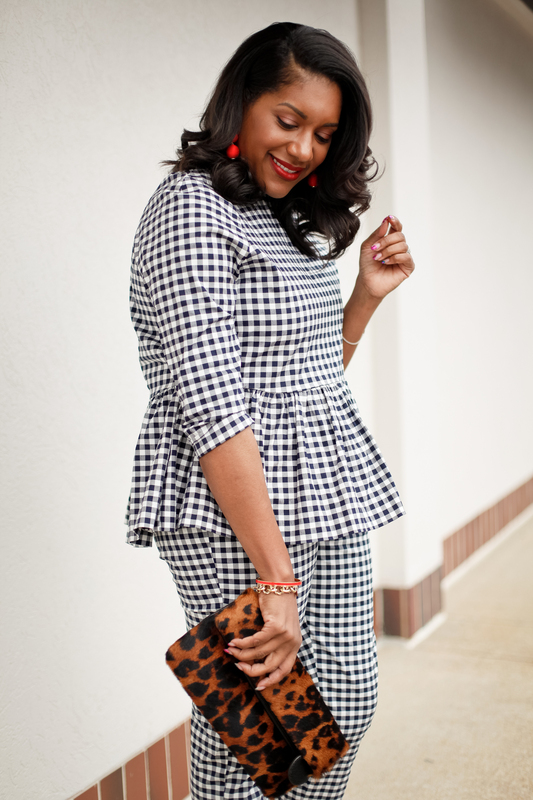 According to Q, gingham is a must for the spring and summer! Whether its a top, bottom, or shoe, you can style this classic print any way you want. Coord sets give you so many styling options! However you style it, just have fun! Cheers to classic prints and endless options! 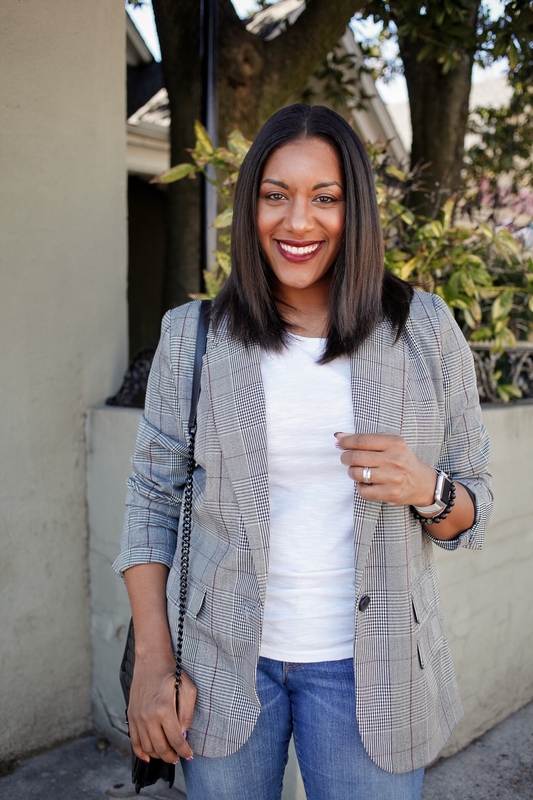 Previous Post It’s White Tee & Blazer Season! !